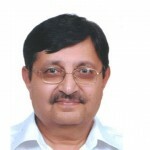 The Delhi High court last week took Suo Moto cognizance of a media report that a doctor who was charged with three counts of sexual instances by a US court in 2011 and was debarred from professional practice, was practicing in NCR. The court directed Medical Council of India to place before it the mechanism, statuary regime as well as rules and regulations in place to scrutinize and detect such cases. This raised an important issue about legality of NRI doctors resorting to practicing medicine in India after having been debarred of medical practice in a foreign country. The pros & cons of this case shall be brought in front of Honorable High Court to take a final call in the case in near future. In future MCI may take suitable steps to prevent such incidence which may include imposing mandatory requirement of submitting Good Professional conduct certificate from country from where doctor is intending to return back to India . But this has also brought forth a fact that doctors are vulnerable as Intimate examinations are indeed something that most medical practitioners come across in their daily practice . An intimate examination gone wrong can cause both the patient as well as the doctor, a lot of embarrassment as well as putting a medical practitioners in a vulnerable situation, legally speaking. 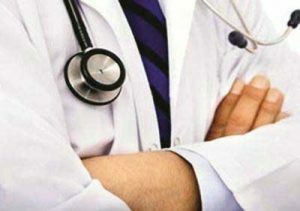 The doctors are also vulnerable to be falsely accused and implicated in cases of sexual misconduct with ulterior motive in some cases of intimate examination. Therefore medical practitioners need to exercise extreme degree of restraint befitting their profession and caution so that nobody exploits them unnecessarily. Abuse of professional position by committing adultery or improper conduct with a patient or by maintaining an improper association with a patient will render a Physician liable for disciplinary action as provided under the Indian Medical Council Act, 1956 or the concerned State Medical Council Act. Unfortunately it does not spell out any guidelines which if followed may provide immunity in eyes of law and Regulatory Authorities in cases of intimate examination. In any case we may follow the following Guidelines pointers on how to perform intimate examinations detailed below to ward of any unwanted, unforeseen ugly situation arising out of this vulnerability of medical professionals. Offer the patient a chaperone preferably a female health professional in case of a female. Stop the examination if the patient asks you to. Keep discussion relevant and don’t make unnecessary personal comments. Give the patient privacy to undress and dress, and keep them covered as much as possible to maintain their dignity; do not help the patient to remove clothing unless they have asked you to, or you have checked with them that they want you to help.